Well, the 4th Annual “Mad Birders Big Morning and Birder BBQ” is in the books. And this one proved to be just as satisfying and surprising as its three cousins. Today, 58 people from across Vermont (and a couple from Connecticut), spanning ages from 12 to 81 gathered to bird CrossHaven Farm in Moretown, and enjoy some mighty tasty breakfast and lunch fare. The group split up into five groups with Jeannie Elias, Pat Folsom, Zac Cota-Weaver, Ali Wagner and Ken Copenhaver doing navigator duties around the property. Sixty four species were tallied. A bit less than some years. But it was cold!!! — and as Ken said, “The bugs aren’t out, so the birds aren’t out”. Even so, the groups were treated to some good sightings. A Peregrine Falcon offered good views to one group. Several Parulas were present. Blackburnians were everywhere in the woods. Happily, Bob-o-links were found in the fields. Alder and Willow Flycatchers said hello. A Brown Thrasher provided singing accompaniment. And, Pat Sainsbury’s many Hummingbird feeders were humming. At one point there were eight at the feeders in the back yard, and, at the same time, a even more in the front yard! Everyone had close encounters of the pointy-nosed kind as the hummers went about their business jousting with each other at the feeders on the porch — with birders standing just inches under them. But, the big surprise for this year was a magical appearance by a pair of Evening Grosbeaks! As we were drinking coffee and getting organized, the pair (male and female) flew in out of nowhere, landed on the tube feeder in the front yard, not more than a few feet away from 40 birders, and only 3’ off the ground. They sat and chatted with each other, enjoyed a little breakfast, and disappeared up over the house and out the back. Zac asked, “What do you do, pay for these birds to show up?” I checked ebird, and I have not recorded one on the property since 2011! It all happened so mysteriously, at such close range and with so many people completely spell-bound and silent that is was one of those moments that 10 minutes later you’re asking, “Did I really just see that?” Indeed we did. Really wonderful. As always, we joined together to celebrate the birds and natural world we so appreciate. And, once again, everyone was generous with donations for the great programs at North Branch Nature Center and Vermont Center for Eco-studies. For the fourth time, we raised over $1,000 that will be divided between those organizations. Amy Butler and Larry Clarfeld were present from NBNC. Amy is Director of all Education Programs at the Center, and shared with us some delightful stories from the incredible ECO (Educating Children Outdoors) program that NBNC runs in seven Central Vermont schools. Thanks Amy! Many, many thanks to everyone who came and shared their friendship and their generosity on a beautiful Memorial Day Weekend morning. It was a great day. If you missed this year, hopefully you will join the Mad Birders next year for the 5th annual event! 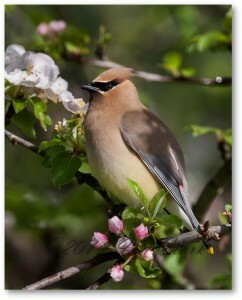 The warm spring weather brings back the birds to the Mad River Valley AND brings out the Mad Birders too! On Saturday May 2nd, Patti Haynes and Gib Geiger led twelve birding enthusiasts on one of the first of our scheduled walks of the season. At Mountain Valley Farm we tallied 28 species of birds with returning Barn, Cliff and Tree Swallows as highlights. We also enjoyed Bluebirds in the orchard. Mad Birder walks will continue through June and can be viewed on our events calendar. The ever popular Big Morning will be May 23rd at Sainsbury’s and the Bicknell’s quest is June 20th at Sugarbush. This bird was NOT supposed to be here now. 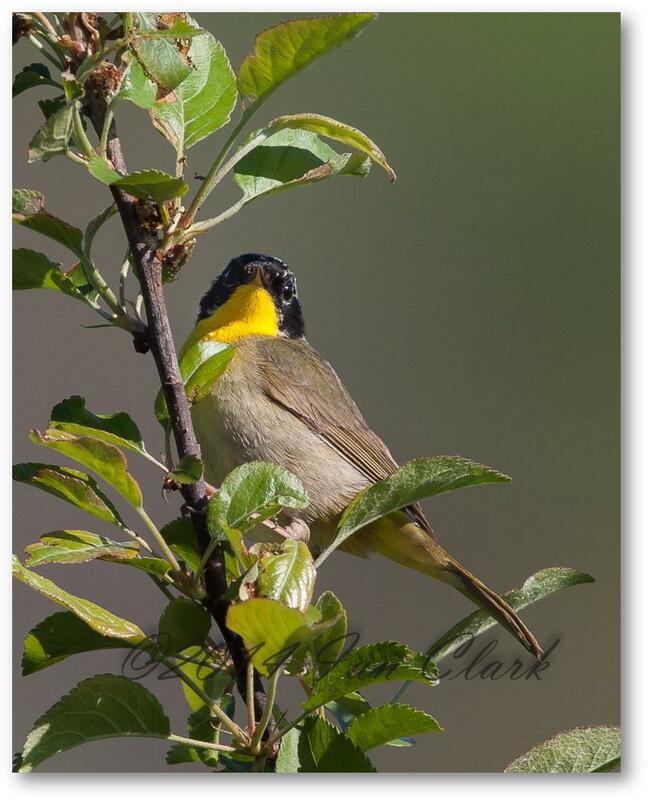 Warblers head south for the winter, right? Well, mostly right…but not always. 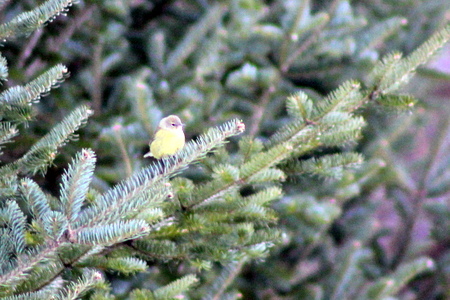 Zacheriah Cota-Weaver was the first of ten Mad Birders out and about in Washington County on a “First Birding” expedition to notice a small yellow bird in a line of Spruce trees on a small side street in Montpelier. 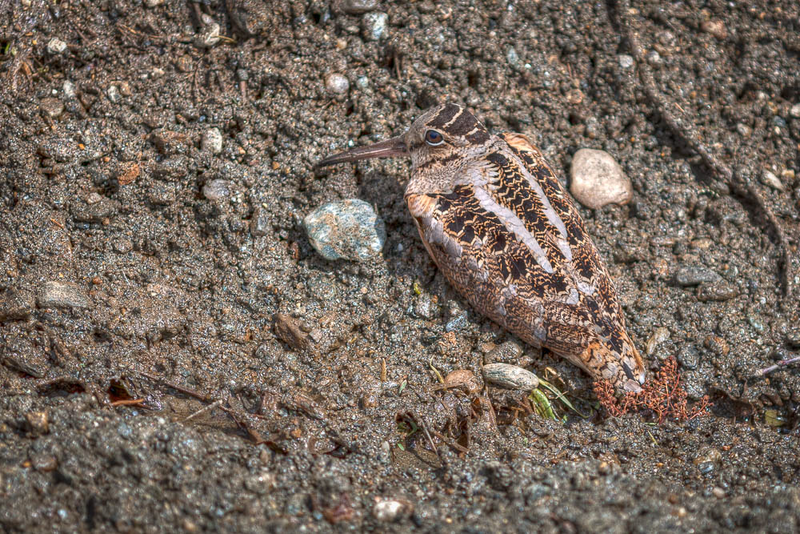 Chip Darmstadt got on the bird and eventually all of the birders got a look at this little jewel. The bird’s cooperation (and that of two very bird friendly homeowners) for about twenty minutes helped the ‘First Birders’clinch the identification. Not a bad first warbler of the year said Zach! Good news birders! 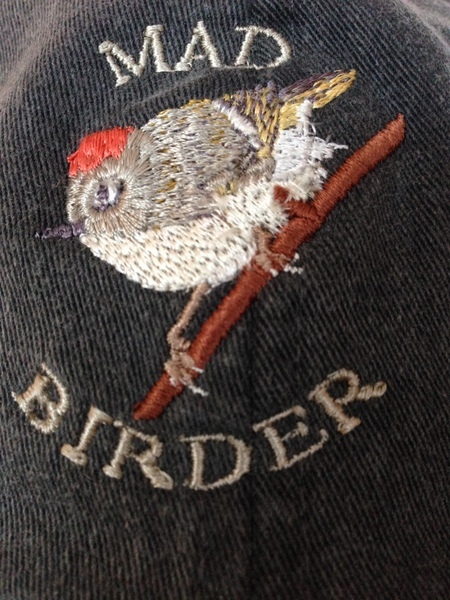 Mad Birder Embroidered Logo Tee Shirts; (featuring the same glorious image shown above on one of our hats*) can now be ordered! The price will be $20 for any shirt. The shirts will be available in an astounding variety of colors (click on the style of your choice to see color options). Choose from Women’s Short Sleeved, Women’s Long Sleeved, Men’s Short Sleeved or Men’s Long Sleeved. Decide on your style, color and size and then send us an email to sales@madbirders.org and we will answer questions and make arrangements from there. * Our Mad Birder logo is based on a photo of a Ruby Crowned Kinglet generously donated by Bryan Pfeiffer. The 115th Annual Audubon Christmas Bird Count will take place in the Mad River Valley, Northfield and Roxbury Friday Dec 19, 2014. The longest running Citizen Science survey in the world, the Christmas Bird Count provides critical data on population trends. Tens of thousands of participants around the world know that it is also a lot of fun! Now in our ninth year of participation the MAD BIRDERS will have nine full teams of four out looking for birds in our ‘circle’. If you feed birds at home you can help by either doing a ‘feeder watch’ sometime that day or allowing a team to come observe the birds in your yard. Please contact Pat Folsom 496-3663, Jeannie Elias 496-4730, Nancy Turner 496-2523, or Patti Haynes 496-2220 for more information. There will be our now infamous pot luck and count down at the home of Jeannie Elias and Craig Goss that evening at 6pm. The weather could not have been better for this year’s Mad Birders Bicknell’s quest on Lincoln Peak – aka Sugarbush South. 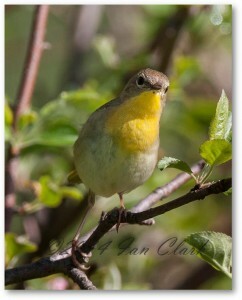 Twenty three birders arrived June 21st to head up the mountain in hopes of finding this bird. We were not disappointed! After an easy ride up the Super Bravo quad we hiked the rest of the way to the top – an elevation of 3,975 ft. The sun was shining, the temperature remained in the 60’s, there were no bugs, and we saw and heard many other birds on our way up including Blackpoll Warblers and Swainson’s Thrush. Our lunch at the platform once again provided a Bicknell’s singing and awesome views of the mountains and valleys below. 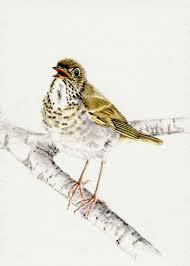 Bicknell’s Thrush generally breed above 2,950 ft and are considered one the most rare and vulnerable songbirds in North America. 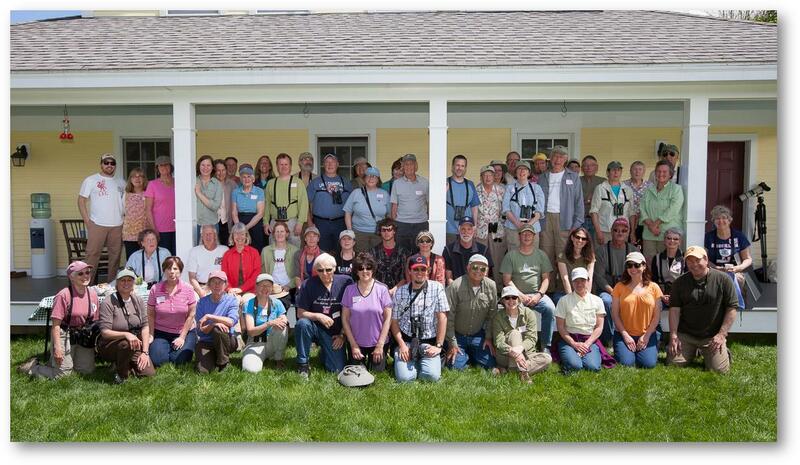 Over sixty of our fellow Vermont birders descended upon Pat and Scott Sainsbury’s CrossHaven Farm on Sunday, May 25th to meet up with over 80 species of birds for the 3rd annual BIG MORNING. It was a really wonderful gathering with many people who have not made it to this event in past years, and many who are now two and three year veterans of the trails on the old farm. CrossHaven Farm has 300 acres of mixed age / mixed species forest, plus 100 acres of hay fields and pastures, and 1-1/2 miles of river front on the Mad River. 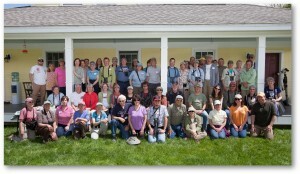 Over 60 birders gathered for the 3rd Annual Big Morning! The early risers met at 5:00 AM and were greeted with valley fog and many birds calling through the mist. By the beginning of the second walk at 7:30 AM, the sun was shining. Good looks of many warblers this year, including Tennessee and Canada Warblers, along with many Blackburnians. 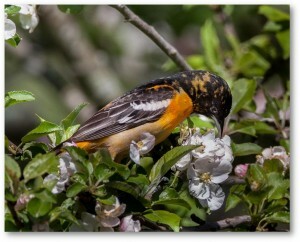 Ian Clark found a number of beauties in just one flowering apple tree. MadBirders co-sponsor this event with the Sainburys and provide much of the volunteer work and cooking that make it all come off so well. Our walk leaders this year were Chip Darmstadt and Larry Clarfeld of the North Branch Nature Center and Mad Birders extrodinaire Pat Folsom and Ali Wagner. A special thank you to those who donated the incredible door prizes — Ian Clark who brought two beautiful prints (Wood Duck and Snowy Owl), Maeve Kim who donated a copy of her recently published novel and Liz Lackey who offered up a huge comprehensive volume of Audubon’s Birds of America. Our sincere appreciation to everyone who donated to the “birders’ social conscience” fund. This year, we once again raised over $1000 ($1100 actually!) All of the money will be divided between Vermont Center for Ecostudies for their avian research and North Branch Nature Center for their youth birding programs. And many thanks to Ian Clark for providing these photos from this year’s Big Morning. The Bobolink is a small songbird that migrates between South America in winter and the Northern and Midwestern sections of the United States in spring and summer. This male of this cheerful species is often described as wearing a tuxedo backwards, due to the contrasting black and white patches of its plumage. Its song is described as burbling, rambling and exuberant. Unlike many migrating songbirds that breed in North American forests, the Bobolink is a grassland bird that makes its nest in fields, meadows and pastureland. Very little savannah or prairie land still exists in this country these days and any kind of open land, as we all know, is becoming a rarity. As a consequence, habitat for Bobolinks is on the wane and Bobolink populations are in steep decline. The Champlain Valley and various Vermont river valleys, including the Mad River Valley, contain perfect habitat for Bobolinks. Vermont bird watchers and nature lovers look forward to their annual appearance. As is so often the case a beneficial use of land for humans is at odds with the needs of other species. Bobolinks nest in open hay and farm fields and pastures, but need such areas to remain unmown until mid-summer in order for the breeding cycle to be complete. Working farmers on the other hand, need to plant fields, hay them or use them for grazing starting in early spring. What can be done to preserve both Vermont’s agricultural heritage as well as our Bobolink population, along with the many other flora and fauna that live in grasslands that also benefit from delayed mowing? Conservationist and retired businessman Michael Sweatman of Elmore, Vermont had an idea. Could publicity, technology and volunteerism be combined in a minimalist fashion that would result in Bobolink awareness and habitat preservation? The Friends of Bobolinks Project is that idea brought to life. Select a manageable geographic area. 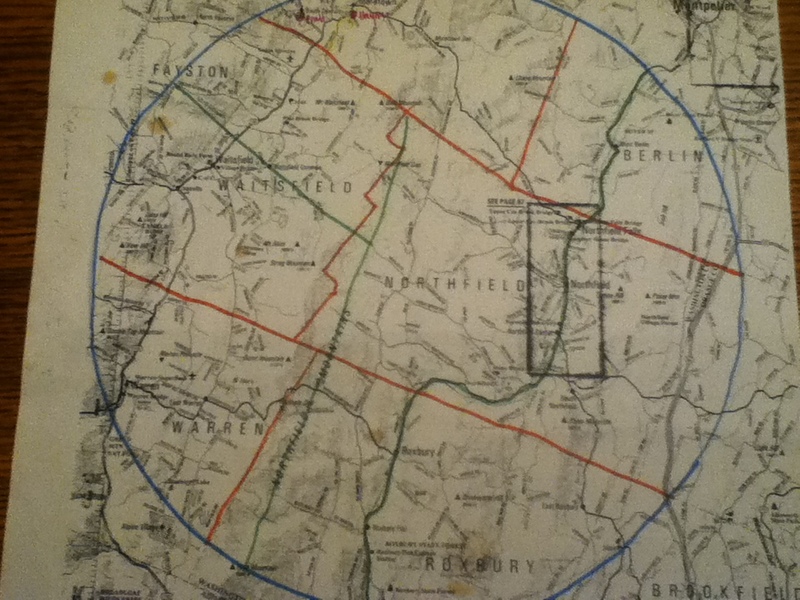 Use technology to map the open spaces in that area large enough to support Bobolinks. 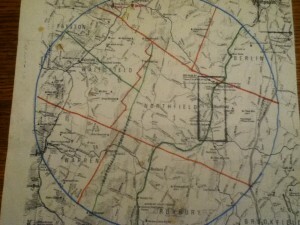 Use volunteers to survey each open space a half dozen times over the course of a Spring and Summer to determine whether a field is in agricultural use and if so for what type of agriculture and at what intervals, as well as monitoring those fields for the presence or absence of Bobolinks. 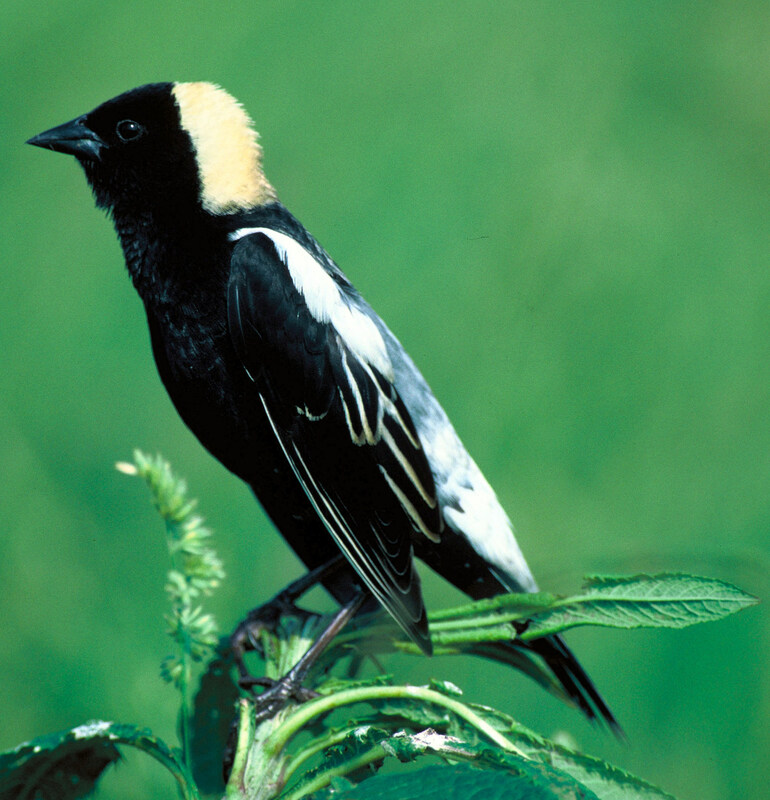 Educate landowners who are not using their fields for agricultural purposes where Bobolinks are or could be breeding about the potential benefit of deferring any land use activities until after the end of Bobolink breeding season. In 2013 a Friends of Bobolinks project was launched by Sweatman in the Lamoille Valley which covered 96 square miles of land. A total of 272 fields were surveyed of which 88 were not being mown. Bobolinks were observed in 44 of these fields and through media coverage along with personal contacts, 40 landowners became Friends of Bobolinks, forming a core of a new movement to create awareness and improve Bobolink conservation. 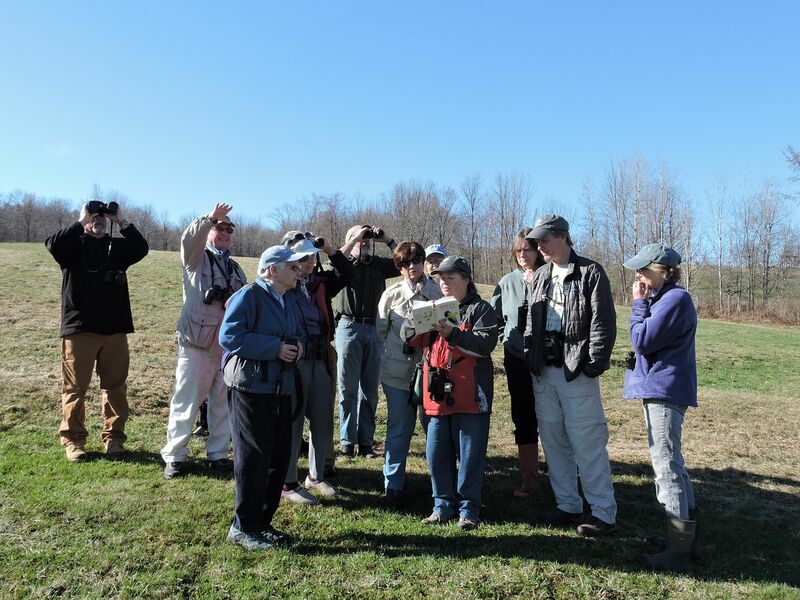 In 2014 the Mad Birders, the valley’s own birding organization is piloting a Friends of Bobolinks project in the Mad River Valley. Join the Mad Birders at 4PM on Saturday April 19, 2014 at the Warren Town Hall to hear Michael Sweatman describe the project and learn how you can be involved. 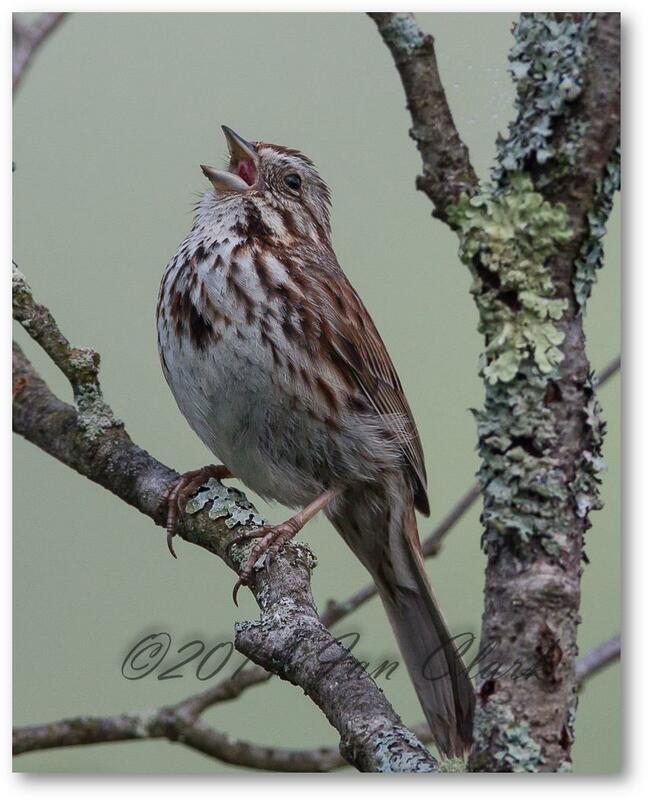 Call Michael Sweatman of the Friends of Bobolinks at 802-253-8142 (cell 371-9025) or Jeanne Elias of the Mad Birders at 496-4730 for more information.